When my travels take me to wonderful golf destinations like Palm Springs I am reminded how fortunate I am to visit some of our country’s finest golf courses and resorts. Visiting one of the finest private clubs an area has to offer is always a special treat. Such was the case when I was able to experience Toscana Country Club in all its amazing glory. Toscana is one of a small handful of luxury private country clubs in the Palm Springs area. Centrally located in the town of Indian Wells, Toscana is comprised of a Tuscan inspired “village” center surrounded by two Championship Jack Nicklaus courses, over 800 estate homes and homesites and a full slate of first class amenities. My host and tour guide was Crista Collins, Director of Membership. She had a wealth of knowledge about Toscana, seemed to know every member by name and made a strong first impression regarding the level of customer service Toscana members expect and enjoy. Toscana is a very active and health oriented club and offers its members everything they would want, or need, when choosing to belong to a club of this stature. From the moment you enter the impressive gates your senses are soothed by the beauty of the landscaping, the impeccable service and welcoming atmosphere. A true oasis. A place to escape. A land where arid desert is the last thing you think of and serenity the first. The core of Toscana Country Club is its Club Villa or central village. The beautiful brick buildings (surrounding the large main courtyard/carport) house all the community common areas and amenities. They are separated by very short walks along covered walkways, landscaped paths and through classically designed gardens. On one side you will find the Golf Shop, driving range and putting green plus the separate Men’s and Women’s locker rooms and lounges. In the middle is the Il Forno Trattoria complex with its dining room, bar and covered porch. A short stroll across a lovely patio is the large indoor/outdoor Event Center and the soon to be completed pool, casual restaurant and Sports Club Pavilion. A few steps further bring you to the outstanding Sports Club, Spa Bella Vita and Charlie Pasarell Tennis Center. 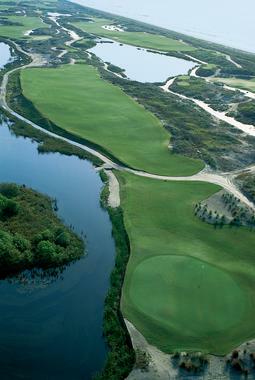 Toscana golf members have the choice of to two amazing, and very different, Nicklaus designed golf courses. The South Course, opened in 2004, might remind you of being in Florida with its wall to wall grass, sand, water hazards and soaring palm trees. The North Course, whose back nine holes opened in November 2015, has a completely different feel. It looks “desertish” and features arroyos, native vegetation and playable waste areas. It looks more like the traditional desert layouts so many of you have seen. This trip I played the South Course with my friend Richard and the aid of a very helpful forecaddy. If I had to sum up the South I’d say think of a land with emerald green carpet as far as the eye can see generously sprinkled with sugar white sand and watery blue depths. From the tees to the fairways and onto the greens one sees nothing but perfectly manicured turf with hardly a divot or ball mark in sight. Although I love desert golf, too many courses are quite flat with man-made terrain and little visual interest. That is not the case here. The South offers a rolling landscape that belies its desert location. While very playable and with generous landing areas, this is a difficult golf course. It rises and falls, swoops left and fades right sometimes all on the same hole. Sand, water, uneven lies, large undulating greens and Nicklaus’ strategic design will test every aspect of your game. While many courses strive to feature a signature hole or two the South at Toscana has a bevy of beautiful and memorable holes. Two of my favorites were the 6th and 7th holes. The Par 4 sixth may be the prettiest and most treacherous on the course. It is fairly long and disaster lurks. The landing area for your tee shot is guarded on the right by sand and squeezed from the left by water…which continues all the way to the putting surface. From here, the fairway, narrows and curls left along the shore. The large angular green wraps further around and into the lake giving it a peninsula feel. Any far left pin placement leaves little room for error. Simply a beautiful hole. The Par 3 seventh is quite the opposite… very moderate in length but with a premium on accuracy. The tee shot is all carry across a small lake to a green that looks like a sliver of land that angles nearly 450 from front right to back left. A large trap guards the back of the green while there is safety for those bailing out to the right. The 7th is fun, short, sassy, pretty and intimidating. Two other holes of note are the finishing holes on each nine. Both are challenging par fours. They wrap around opposite sides of the lake that sits just below the beautiful Il Forno dining room and patio. These are great holes for a heroic finish especially if you are being watched by those enjoying their after golf refreshments. The spa and the sports club share a beautiful facility just a short walk from the dining area, golf pro shop, tennis complex and soon to be opened community pool area and casual dining restaurant. This is another stately stone structure with vaulted beamed ceilings throughout. The Sports Club occupies the right half of the building with Spa Bella Vita housed on the left and a very nice little pro shop, reception area and cozy sitting room in the center. Sports Club members have the use of a fully equipped gym as well as separate designated spaces for Pilates, stretch and strength training. There is also a comprehensive program of classes including, yoga, spinning and dance. Just behind the Sports Club a stroll through the Tennis Gardens brings you to the Charlie Pasarell Tennis Center. It features a luxurious center court, surrounding hard and clay courts as well as dedicated pickle ball courts. Members enjoy lessons, leagues, clinics and social play. This was one of my favorite areas of Toscana. Secluded, beautiful, vibrant and inviting. Spa Bella Vita is a 5 star spa experience for Toscana members and guests to enjoy. I was fortunate to have enjoyed a few hours here including a wonderfully relaxing massage. To say that the matching Men’s and Women’s facilities here are nice would be a vast understatement. As with the rest of Toscana, everything is exquisitely designed and executed leaving an air of quiet and welcoming sophistication. Men and women each have access to their own steam room, sauna, aromatherapy shower (think scented water) and outdoor whirlpool in a garden setting. You start your journey with a locker complete with robe and slippers. Since I had an hour before my massage the sauna, whirlpool and steam room provided the perfect way to ease into my afternoon. After a nice rinse in the refreshing aromatherapy shower I bundled up in my robe and headed to the “Quiet Room”. The quiet room is a warm and comforting space to decompress, read or even nap before your treatment. The room has a vaulted beamed ceiling, large fireplace and 5 oversized chaise lounges complete with reading glasses, tea, water, fruit and nuts. I could have stayed there for hours. When my therapist did arrive, we stepped outside and into a small, intimate water filled courtyard which is encircled by the treatment rooms. This is a Zen like space and a perfect setting to further set the mood and slow the heart rate. The treatment rooms are large and cozy and members can pay by the hour to stay and just relax when their treatment is done. You can even have food delivered. Feel like a couples massage? There are two Grand Suites that can’t be beat. Each has a fireplace, two massage tables, a claw foot tub, plenty of relaxing seating and, of course, a private little courtyard and outdoor shower. The Boulders Resort and Spa is a resort experience unlike almost any other in the Phoenix/Scottsdale area. Or anywhere in the Southwest for that matter. With two Jay Morrish designed championship golf courses and its incredible Carefree, Arizona location it cannot be beat. Add in a multi-million dollar makeover (more about this later) and you have an experience of a lifetime. The Boulders Resort and Spa is celebrating its 30th anniversary and has been recognized for three decades as a world class destination with impeccable service, a wonderful spa, championship golf plus excellent dining, lodging and tennis (and so much more). With over 1300 acres of Sonoran Desert foothills just 30 miles north of the Phoenix airport, the resort has more the feel of a small village than a hotel property. The resort’s newly remodeled main lodge, 33,000 square foot spa (that is not a typo) and golf clubhouse complex are separated by a short walk or complimentary golf cart ride from each other. The 160 totally redone casitas and an additional 60 villas are sprinkled around the main facilities each with impressive views of the iconic boulders mounts, desert or golf courses. Add in multiple dining options, three pools, hiking paths, free fitness classes and a myriad of other activities and you will understand when I say this somewhere you will want to return to again and again! For decades the Boulders Jay Morrish designed North and South courses have been rated as two of the finest in the country. This scenic high desert terrain is made for golf. Paired with the stunning boulder formations that define the property this is an unparalleled golf experience. Under the leadership of Tom McCahan (Director of Club Operations) and his 24 year tenure the Boulders (www.theboulders.com) remains a mecca for golf. The two courses are shared by club members and resort guests. Play is alternated between the two courses. Guests play the North one day and the South the next. The courses also share a very nice pro shop, clubhouse, grill and an excellent driving range and short game practice area. Some say choosing between the South and North layouts is like opting between the lobster or the filet. Both are sumptuous yet each has its own flavor and allure. I suggest the Surf and Turf…play them both! While different in taste and feel, these two layouts share tremendous visual interest, outstanding conditions and pure fun. What I can say about the South course is this: It is beautiful! The course winds its way around the incredible boulder mount and through other smaller, but no less impressive, rock formations on a rollicking and picturesque journey unlike any course in the area. There are few forced carries, a great variety of hole designs, limited amounts of target style golf and amazing visual interest. The South starts innocently enough with a slight downhill dogleg right with a landing area that narrows the further you dare hit it. Safely negotiating the tee shot leaves an approach to the first of many greens and tees guarded by the ever present rocks. The South ends with a beautiful yet dangerous Par 5 whose green sits protected behind a pond. In between are sixteen unique holes capped by the resorts signature hole…the Par 5 fifth. A split fairway off the tee is only the beginning of this amazing hole as it gently climbs toward the green. Looming in the distance is the 12 million year old boulder formation from which the resort gets its name. And tucked right up against this strange and indescribable structure of granite lies the fifth green. Awe inspiring. Incredible. Photo mandatory. The North course is every bit the challenge of the South. While a bit wider off the tees and not quite as close to some of the boulder formations it is a true test of golf for players of every ability. It starts with a very pretty yet challenging Par 5 that requires three well placed shots to reach the green. A small wash separates your first two shots and your approach must navigate a well protected green. From here you will find an array of long and short holes that climb, fall, dogleg both left and right and challenge every club in the bag including your putter. With incredible open views of the surrounding “mountains” it is hard to concentrate on the task at hand. One of my favorite holes is the Par 3 sixth. While not particularly long it is exceptionally pretty with seemingly every kind of native cactus, tree and bush lining the hole. Get your camera! Much like the finishing hole on the South course the eighteenth on the North is a dramatic finish right below the clubhouse patio. This swooping dog leg right Par 4 is guarded to the left of the green by both water and sand. Par here is an excellent score and just steps from a rewarding refreshment while you tally your score. Over the summer of 2015 all of the casitas and the entire main lodge have been totally redone. The casitas were stripped to the studs with only the wooden beams in the ceiling spared. These large new rooms feature high ceilings, a patio or deck, a mini wet bar, wood burning fireplace, small walk-in closet and stone floors throughout. The luxurious bathrooms have double sinks, glass enclosed showers with floor to ceiling river rock walls as well as a separate tub. To say these casitas are nice is a vast understatement. The main lodge building has undergone an equally dramatic transformation including an all new lobby and reception area. The old Latilla restaurant is now the Latilla Ballroom. The Palo Verde dining room has been renovated as has the main pool area. Perhaps the most dramatic change is to the Discovery Lounge. It now is much larger and features soaring floor to ceiling and wall to wall windows that frame the view of the iconic boulder mount. Those who have been here will not recognize the place. The spa at the Boulders is one of the largest and nicest I have seen. It is situated a short walk from the casitas and the main lodge and also has the boulder mount at its’ backdoor. Guests of the resort have full use of the spa facilities at no extra cost and I used them at least once a day. The spa encompasses three main areas: an active wing, a quiet wing and the outdoor spaces. It has everything you might need to relax, exercise and sooth your mind, body and soul. The active side features a yoga studio, fitness center, Spa Café, movement studio and more. A myriad of free classes are held here every day and include yoga, spinning, stretch, Zumba and water fitness to name a few. The quiet side of the building houses separate but equal Men’s and Women’s lounges, a quiet room, 24 treatment rooms and a full salon. The lounges deserve special mention as each has a large spherical warm soaking bath, a fully tiled circular steam room (with a cool shower right in the room), sauna, showers and lockers. They are fully stocked with bath products, plush towels and everything else one needs to clean up after a day of relaxation or exercise. The outdoor space is perfectly nestled between the spa building and boulder mount. The large adults only pool and hot tub offer both a soothing retreat and amazing scenery. Adjoining the pool area is an herb garden, a meditational labyrinth and quiet patios for your relaxation. The Zen like feel and feng shui elements of this entire setting induce a sense of peace and tranquility rarely found at most resorts. Dining at the Boulders features a number of varied and distinct options. There is the newly remodeled Palo Verde restaurant in the main lodge, the Spa Café, the Grill Kitchen and Bar at the golf clubhouse, the Spotted Donkey Cantina at the adjacent Pedregal shopping area as well as the pool pavilion and of course room service. The Boulders Resort and Spa has been ranked one of the best golf resorts in the U.S. since its inception 30 years ago. With the recent renovations it is bound to stay that way for the next thirty years. The outstanding location, incredible scenery, championship golf, wonderful lodging, exemplary service and amazing spa make this a must visit place for anyone with room on their bucket list. I know I will be going back soon!! If you are seeking an all around classic Palm Springs vacation the Omni Rancho Las Palmas in the heart of Rancho Mirage would be an excellent choice. With 27 holes of golf, a newly remodeled spa, good dining options, an adult pool as well as a children’s oriented waterpark, a large tennis center, and very nice rooms... this place has you covered. Rancho Las Palmas Country Club features 27 holes of golf designed by architect Ted Robinson. While not a long course by today’s standards it is a challenging layout none the less. The course is laid out on gentle rolling terrain and plays in and around six lakes, a desert wash and 1,500 palm trees that line the fairways. While many of the holes are reasonably wide and forgiving, many more are quite narrow off the tee putting a premium on accuracy not distance. This makes it a very fun course for players of all skill levels. The course was in very good condition with winter overseeding keeping nearly the entire layout looking very green and very playable. The greens themselves were very nice and many were quite undulating serving up another way that this classic course uses to defend par. The toughest holes for me were the shortest and the tightest. These were often lined on both sides by homes as the holes wound through portions of the property. This made the ability to shape your shot off the tee more important than distance when trying to keep it in the fairway. For settling bets after golf or just a place to reminisce there is a very nice clubhouse with excellent food and drink and a wonderful view of the challenging finishing holes. The Omni Rancho Las Palmas is set on 240 acres and it has wonderfully landscaped grounds, soaring palm trees and glistening lakes. There are 444 guestrooms and 22 suites clustered in small buildings around the property. The rooms are very generous in size and each has either a patio or balcony. They feature large flat screen TV’s, free WiFi, nice bathrooms and a sense of privacy as they are not in one large building. I liked being in Building 3 as it was close to the main complex which houses the spa. bar, restaurants and adult pool. For relaxation there is a newly remodeled (2013) 20,000 square foot spa with 26 treatment rooms. It features body treatments, facials and its own amenities including a peaceful courtyard and private pool. In addition, there is the adult Azure pool just off the main plaza and overlooking two of the golf courses signature holes. For families and the more active among you there are many ways to get your exercise in. For kids and the young at heart there is Splastopia. This water wonderland land features two 100 foot slides, a lazy river and a sand beach. In addition, there is a fabulous 25 court tennis complex as well as walking paths throughout the resort grounds. There are many dining options on site to suit all your needs. The signature restaurant is bluEmber. This lovely spot is right on the main plaza, serves three meals a day and offers both indoor and outside dining as well as live music a few days a week. Other choices include Palms Café for coffee, pizzas and light fare, R Bar for for drinks and the poolside Splash Grill. If you feel the need to dine off site, directly across the street is The River. This is a beautiful upscale area well known throughout the valley and features a wide array of shops, restaurants and entertainment. All in all the Omni Rancho Las Palmas will provide you with a classic desert vacation experience. With its prime location, abundance of activities and pleasant customer service it is hard to go wrong. Whistling Straits. Blackwolf Run. Pete Dye. The American Club. The Kohler Company. Kohler Village, WI. And yes, so much more. It is not often I find myself at a loss for words especially with so much to talk about. But that is exactly the case when trying to put down on paper my 5 day experience at the amazing Kohler Village in Wisconsin. To say this is one of the finest golf mecca’s on the planet would be true. To overlook the two hotel properties, spa, more than half dozen dining options, sports center, shops and Kohler factory would be criminal. Did I forget to mention horseback riding, trap shooting, kayaking, fishing, biking, hiking, archery and garden tours? All this within the utopian village called Kohler. As I mentioned, this is a village and not a resort. It covers a few square miles of property just west of Sheboygan, WI on rolling wooded and open landscape with the Sheboygan River meandering throughout. While the various hotels, shops, golf courses, restaurants, spa, sports complex, Kohler Design Center, etc are mostly within walking distance of each other there is convenient free shuttle bus service connecting all these locations. This four course, Pete Dye design showcase, is a world renowned golf destination. There are two separate, and very different, venues each with two championship level courses; Blackwolf Run and Whistling Straits. I played all but the Irish course at Whistling Straits on this trip. This complex is located within the village and is home to the Meadow Valleys and River courses. These two courses occupy the rolling hills, wooded river bottom and once open farmland that predated the golf courses. Opened in 1988 as the River and Valley course, the Meadow nine was added in 1989 and nine more holes finished the 36 hole layout in 1990. They share a wonderful hilltop log cabin clubhouse that is home to the Pro Shop, a bar, restaurant (more on this later), locker rooms and meeting facilities. Blackwolf Run has twice hosted the U.S. Women’s Open (2012, 1998) on the original 18 hole course. In addition, the River Course was home to the men’s Andersen Consulting Championship of Golf in 1997, 1996 and 1995. The Meadow Valleys course is set on more open rolling terrain than its River Course cousin. The expansive vistas and apparent generous fairways belie the often subtle yet diabolical Dye design features that make his courses so challenging. Hitting to the wrong side of a fairway may leave a shorter but blind shot to the green. Missing the putting surface can result in cavernous sand traps, watery disasters or impossible short sided up and down pitch shots. Of the two courses at Blackwolf Run I would say that this is the more playable for the average golfer yet by far no walk in the park. Fast greens, wind, challenging design features and the need for placement and execution will no doubt add a dozen or more strokes to the average score you shoot at home. The River Course is one of the most beautiful Midwest woodland style courses you will ever play. It meanders alongside the Sheboygan River which comes into play on nearly half the holes. If the sheer beauty of the course does not distract you then the temptation of its risk/reward design certainly will. Whether it’s the long and challenging water lined Par 3’s like the 4th and 13th or the elevated tee shots from the 5th and 8th holes, you will be hard pressed whether to grab your club or your camera first. The greens here are some of the truest and fastest I have ever played. They were absolutely amazing. And I can’t stress enough how important it is to play from the correct tees to match your ability. This course is not for the faint of heart or golf beginner. Teeing it up from too far back is a recipe for both disaster and frustration when enjoyment should be your only goal here. As at Whistling Straits, caddies (or fore caddies) are available and if this is your first time here they are quite invaluable. Gary was my forecaddie on the River course and his insights, course directions and club selections were a big help in ensuring an enjoyable round. FYI: Gary pointed out that his average patron shot well over 100 so be forewarned about course length and difficulty. Whisling Straits is made up of the world famous Straits Course and its sister track the Irish Course. This two course complex is a 15 minute drive from Kohler Village (7 miles north of Sheboygan) by car or shuttle bus and could not be any more different than Blackwolf Run. It is located right on the shores of Lake Michigan. Having yet to play in Ireland, Scotland and the like from which it has been modeled, I can best describe this as a place of soaring sand dunes as far as the eye can see with a bit of grass thrown in for good luck. It is a cross between a moonscape with a few fairways and greens and a seaside (Lake Michigan) sand box with enough grass planted to make it look unlike any golf course you may ever see or play in your lifetime. The Straits course is hard by the shores of Lake Michigan. It has twice hosted the U.S. Men’s PGA Championship along with a Senior Men’s U.S. Open. It consists of nine holes out and back to the south of the clubhouse and nine more holes of the same to the north. This course is walking only and caddie mandatory and if you are not in shape for a sometimes rigorous 6 mile, 5 hour trek then this might not be the venue for you. The course is stunning and intimidating, beautiful yet treacherous, demanding and diabolical and every bit as fabulous and memorable as a day at storied Pebble Beach or any other course for that matter! All this and a flock of Scottish Blackfaced horned sheep that are free to roam the course (or in my case occupy a tee box) and only add to the mystique that is Whistling Starits. The Straits course may have the most amazing and fantastic collection of Par 3’s I have seen, heard of or played. Each one hangs precariously to the dunes above the shoreline with greens seemingly perched as if ready to tumble into the surf below. Grab your camera as this may be the only great shot you take on any of these treacherous lakeside three pars. I can only tell you to listen to your caddie, bring your “A” game, know how to play from sandy traps and lies of every size, shape and description and don’t be too proud to put your ball into the safety of your pocket should one of these holes prove more than you can give. The Irish course is just inland of the Straits course and is a very close cousin excepting a lakeshore setting. The Irish is cart path only, or caddy, due to its rugged dune setting. This is also no slouch of a course and an amazing test in its own right. There are actually three separate lodging options in the village: The American Club, its adjacent Carriage House (home to the Kohler Waters Spa). and a short distance away the Inn on Woodlake. The American Club began life in 1918 as a 115 unit rooming house for immigrant workers at the Kohler factory. It has a long and storied history as a state of the art facility. By 1942 it had grown in size and underwent a total remodeling with larger guest rooms and was transformed from a workers dormitory to a public inn. 1978 saw the building added to the National Register of Historic Places and another complete renovation took place. By 1991 two additional wings were added bringing the total to 237 rooms, multiple restaurants and 21,000 feet of conference space. With ample size rooms, to die for bathrooms, great gardens and the most beautiful greenhouse with stained glass walls that serves as a coffee shop, The American Club will grow on you. Next door, above the spa, are rooms in the Carriage House. These rooms are a bit more modern in feel and offer free and direct access to all spa facilities. A short distance from these two lodging options is the newly renovated Inn on Woodlake. This small boutique hotel is dog friendly, on Wood Lake and immediately adjacent to the village shops and sports center with its indoor pool, tennis and small beach. The Kohler Waters Spa occupies the first and lower levels of the Carriage House. The first level is for manicure, pedicure and salon services, The lower level is where the real fun begins. The spa has a quiet room, treatment rooms and separate Men’s and Women’s locker rooms. Each has its own hot tub, cool soaking tub, sauna and steam room along with the expected showers and lockers. Between the two locker areas is a shared quiet pool that can best be described as a small lap pool with a large waterfall at one end. This coed area has plush chaise lounges around the perimeter and is the perfect spot for relaxing before or after any massage or other Kohler exclusive body treatments. The top floor of the Carriage House is a very private glass enclosed room with a large whirlpool tub. Again, chaise lounges ring this comfortable and relaxing private retreat. This trip I ate at five of the great dining options available across all the Kohler properties. In the American Club there was an amazing Sunday breakfast buffet and brunch in the Wisconsin Room. This beautiful and stately setting begs you to dine slowly and savor every moment. In the lower level is the Horse and Plow. This is a fun and lively sports pub with food and drink to match. It is the most casual of the dining options with great happy hour prices. Perhaps the biggest dining surprise at Kohler is the outstanding food in the two golf clubhouses. The log cabin setting at Blackwolf Run belies its excellent food, While it is open for breakfast and lunch it is the fine dining menu for dinner that stole the show for me. I highly recommend the enclosed veranda portion of the dining room with its floor to ceiling windows looking down on the 18th hole of the River course. The stone clubhouse at Whistling Straits offers both a warm and welcoming dining room as well as an outdoor patio overlooking the Straits course and Lake Michigan in the distance. The food here is simply excellent whether at breakfast, lunch or dinner. But like Blackwolf Run I must say that dinner was my favorite. From the fantastic appetizers to the wine and all the way through to dessert this is a fine dining experience rarely found (or unexpected) in a golf clubhouse. I encourage you to visit their website (www.americanclubresort.com) for comprehensive coverage of the golf courses, dining, lodging, spa and all else that is Kohler. I could make this review of The Resort at Pelican Hill my shortest ever. Great accommodations. Two Fazio designed eighteen hole gems. A Forbes 5 star rated spa. Fine dining and one of the world’s largest circular pools. Go there. Now! End of story. But there is so much more to this fabulous property that even a full look inside may not do it justice. From the enormous Roman viaduct that marks the entrance (actually a golf cart bridge in clever disguise) to the expansive piazza which serves as the lobby courtyard and autocourt, you know you have arrived at somewhere grand. Pelican Hill is set high on a hill about a half mile from the beach. It covers over 500 acres from hilltop to seaside. The courses reach from the high ground all the way to the sea dunes. As many of you know, Tom Fazio is one of my favorite course designers. His noted ability to blend a golf course into its natural surroundings is very evident on both the North and South courses. The South Course is tighter than the North and is set lower on the property including three outstanding oceanside holes before working its way back up to the clubhouse. Many holes are treelined and narrow while others are open but with challenging carries over canyons and ravines. The South Course feels somewhat like Spyglass Hill on the famed Monterey Peninsula. This is especially true at the seashore 11th, 12th and 13th holes. The eleventh is a short but tight downhill Par 4 of only 350 yards. It plays directly toward the ocean to a green set in the dunes and framed by an enormous complex of bunkers. The 12th and 13th are back to back Par 3’s. Both play through the ocean dunes with amazing views of the sea. The 13th has two greens, plays only 125 yards but the greens are set in what only can be described as an ocean of sand. Great holes! The North Course is set high on the property and offers sea views from nearly every spot on the course. It is more open and a bit longer than the South and has the feel of Kapalua on the island of Maui in Hawaii. It is hard to pick out favorite holes here as they are all good. With no shortage of fun and challenging holes, the last two offer an unforgettable finish. The 17th hole is an incredibly grand dogleg right of 540 yards. A slightly downhill tee shot is guarded right by water and offers a tee to green vista. The second shot must avoid a small canyon on the right as the fairway climbs toward a green that clings to the edge of a hillside with the blue Pacicific serving as the backdrop. Fantastic! The 18th hole starts out innocently enough with a tee shot to a wide fairway pinched somewhat by traps on the left and right of this 412 yard Par 4. Here is where the fun begins as below you, to the right and across a ravine, sits a smallish green angled away and guarded short and right by traps and the natural chasm. This can best be described as Pelican Hill’s version of the famed 8th hole at Pebble Beach. Great finishing hole. Two special notes about the golf experience. Forecaddies accompany each foursome and offer hole guidance, ball finding, club cleaning and putt reading. Curtis was my forecaddie both days and his knowledge and professionalism were most appreciated. Second, special mention must be made about dining at The Pelican Grill located in the beautiful golf clubhouse. Hillside views of the golf courses and Pacific set the stage for truly fine dining, Whether you sit in the more formal dining room, its much sought after outdoor veranda (with glass walls and overhead heating) or opt for the grand sports bar this will be a meal to remember. Head chef Chang Sivilay, General Manager David Brown and Kevin, our outstanding waiter, provided an exceptional dining experience. From the produce off their own farm to the pretzel bread, spiced tortilla soup, Hawaiian big eye tuna with mushroom dumplings down to the last bite of soufflé this was a meal one might expect in the finest of dining rooms. Delectable! Set on the rolling hills overlooking the Pacific, Pelican Hill commands a setting like few other resorts. While just over three years old, its Italian inspired Palladian architecture, neighborhood styled layout and mature landscaping add to a sense of having landed in a small and cozy village. The property can be thought of as four separate yet interconnected sections: the Main building and Coliseum pool, the bungalows, the villas and the two golf courses. The main building is home to the lobby, coffee shop, spa, Andrea Ristorante, the Newsstand and a library room that also hosts the Concierge. It offers expansive views of the surrounding golf courses, pool and the Pacific from nearly every space. The lobby is majestic, warm, comfortable and luxurious and serves as the resort’s living room. The coffee shop is bright and inviting. Andrea is award winning as is the luxurious spa with separate Roman bath inspired sanctuaries for men and women. The Coliseum pool building is a two story structure that borrows its architecture from the remnants of its namesake in Rome. It is a short walk (or complimentary ride by Cadillac Escalade) from the Bungalows and directly adjacent to the main building. The large semi-circular structure encircles the pool. The upper level is home to a restaurant, and private rental cabanas that feature flat screen televisions and ceiling fans. The lower level offers shaded cabanas and a deck that rings the 130’ plus diameter pool (made up of over one million hand laid tiles). The Bungalows and The Villas are two separate “neighborhoods” on either side of the property. The feel is that of a small grouping of luxury townhomes in a warm Italian village. You can drive, and park, right at your unit on your own private street. The oversized Bungalows start at 850 square feet and include a living room area, gas fireplace, private veranda and marble bathroom with a separate shower and soaking tub. The 2,3, and 4 bedroom Villas offer the added convenience of full kitchens. They also feature their own main building and private swimming pool for discriminating travelers. All in all, Pelican Hill is a must visit for golfers, spa goers and nature lovers who savor exceptional service, fine dining, southern California climate and beaches and welcome a retreat from the hustle and bustle of everyday life. If you are going to be in the Minneapolis/St. Paul area (or already live there) and are looking to play golf, you owe it to yourself to visit Legends Golf Club. Just a short drive south of either downtown, it is one of the top public courses in a metro area known for its quality golf and avid golfers. My home town is Minneapolis and I have played nearly every public course, and many of the top private courses, our Twin Cities have to offer. Except for the elite courses (Hazeltine, Interlachen and TPC), where PGA, LPGA and Senior Tour events have been held, Legends Golf Club is one of my all time favorites. What you can expect to find here are country club course conditions, excellent service, a wonderful clubhouse, good food, friendly people and incredible golf. The course has a masterful mix of holes. No two look or feel the same. You will find a 100 yard Par 3 and 600 yard Par 5 and everything in between. There are straight holes, doglegs, open spaces, tree lined fairways and enough water, traps and elevation changes to challenge the best of players. Holes play to every direction on the compass making wind an ever changing factor. Strategy is paramount. I have enjoyed over fifty rounds here and let me tell you there are many ways to play this course. Approach shots can be flown onto the greens or played low and running. The shortest route is often not the best route. A poor shot almost always leaves a more difficult shot. Tee shots safely down the middle often dictate more daunting approach shots than those that challenge the preferred side of a fairway. Course condition. For those who appreciate a well groomed course Legends Golf Club is for you. The fairways and tees are excellent but it is the undulating, smooth rolling, putting surfaces that take the cake. Best of all, each hole seems isolated unto itself. You rarely see other players, or even other holes, from where you are. Since few holes run parallel (unlike so many courses), the chances of someone straying from a neighboring hole into your fairway is remote. This sense of solitude and quiet maybe the single biggest factor influencing the relaxed, natural and quality experience of playing here. The Par 5 fourth is a dogleg left playing to 510 yards. From the elevated tee, one sees a very wide fairway with a complex of traps guarding the corner some 230 yards out. It looks tempting to cut the corner, but finding the traps or even successfully flying them, leaves an exacting second shot. You are left with a tough angle to a narrowing fairway pinched on the left by trees and a hidden brook and on the right by a series of bunkers. The better tee ball is to the middle of the fairway. Did I mention the hole ends at a narrow two tier green that is three club lengths deep? Be sure to check the GPS. Par here….excellent! Another good risk/reward hole is the fifteenth. It is a beautiful Par 4 of just 384 yards. It is fairly straight, plays slightly downhill, and has a wide fairway but a pond guards the front and right side of the green. A tee ball right down the middle leaves an all or nothing shot over water. A better tee shot challenges the far left side of the fairway. While this takes the water out of play on your approach, it brings a naturalized area just left of the fairway very much into play. The eighteenth hole is one of the best, and toughest, finishing holes around. At 420 yards, the view from the elevated tee is pure intimidation. A narrow crescent moon fairway, wraps from right to left around a large pond before heading uphill to its finish below the clubhouse. Long hitters who successfully challenge the entire width of the pond are rewarded with a short iron approach to a devilish green. Bailing out right of the pond off the tee may be wise (or even necessary) but will leave a long iron or more to the green. Never mind the people watching from the large patio off the back of the clubhouse. This is no guts no glory. Birdie or triple bogey. Great finishing hole! Legends Golf Club has a very large driving range with multiple greens, including bunkers, set out at varying distances to give a real course feel to your warm up routine. In addition, there is a separate sand trap and pitching green to hone your short game along with a sizable practice putting green. The clubhouse is large (24,000 sq. ft.) and inviting. It features stone accents, warm woods, great natural lighting, a commanding view of the property and a cozy atmosphere. Inside you will find a well stocked pro shop, an excellent restaurant, men’s and women’s locker rooms along with banquet and meeting spaces. Not to mention the great food available at the turn from the spacious outdoor grill. You can pre-order your burgers, hot dogs, sandwiches and drinks from the carts GPS system. You can visit their website, www.legendsgc.com, and see why this is one of the top rated golf venues in all of Minnesota. Whether you are one of the many visitors to the land of 10,000 lakes or a lifelong resident you owe it to yourself to enjoy a day of play at Legends Golf Club. 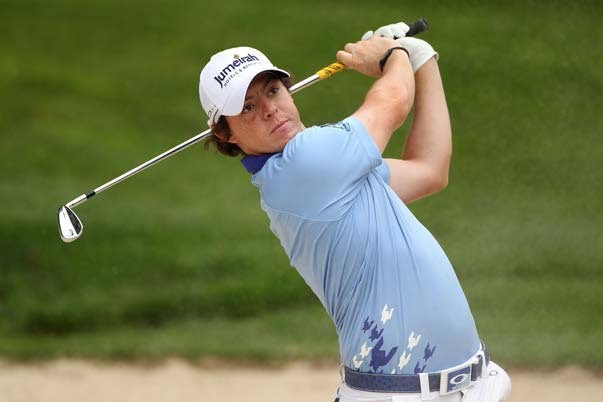 Could 2011 have ended any better for golf fans? Tiger Woods regains winning form at the Chevron World Challenge. Luke Donald cements No. 1 ranking by topping the U.S. and European money lists. Wunderkind Rory McIlroy follows up his U.S. Open triumph with another victory (Hong Kong Open) and six top-sixes in his last eight starts. Sergio Garcia claims two titles in his native Spain. Young Americans Webb Simpson, Dustin Johnson and Bill Haas dominate the FedEx Cup playoffs. Jim Furyk goes 5-0 to pace the U.S. Presidents Cup effort. Luke Donald aims to keep his No. 1 ranking. I could go on, but you get the picture. Professional golf is flush with great players in or entering their prime, aging stars with gas left in the tank, and emerging lads with big games and matching personalities. Getting excited yet? Me too. Grrrr... The Ocean Course at Kiawah Island. Back in the day, Golf Digest’s list of America’s toughest courses was its de facto list of the country’s top courses. When folks stopped equating difficulty with quality, the magazine introduced new criteria – like design balance and shot values – and changed the rankings to America’s best courses. Now it’s doing both. Golf Digest is out with an updated list of the 75 toughest tracks in America, and it is indeed a Murderers Row. Others of note include TPC Sawgrass (7), Pinehurst No. 2 (10), Pebble Beach (14) and Augusta National (31). Of course, tackling any of these courses is even tougher when you’re paired with one of Golf Digest’s 18 Most Annoying Golf Partners, whose aggravating ranks include our personal No. 1, the Cart Girl Schmoozer. If the cart girls at these places are as mean as the courses, methinks our buddy would incur a rather harsh penalty. What do you get the golfer who has everything? Something non-golf-related, of course. Golf vacation of a lifetime: We won’t tell you where to send your favorite golfer; suffice it to say, Scotland, Ireland and Australia/New Zealand merit serious consideration. Your best bet is to book through an experienced, respected golf tour operator like Perry Golf. They’ll take care of every detail, right down to fixing your pitch marks. Price: $1,500 and up. Way up. An in-home golf simulator: These are all the rage among golfers with the space and disposable income to install one. P3ProSwing is one of the more affordable suppliers, and its packages allow you to “play” famous courses and analyze your swing. Price: Starting at $599; most popular package is $1,228. Major ducats: Every golf fan dreams of attending the Masters, but Barack Obama will be elected president of the NRA before you’ll score passes to that event. Your golfer will have to settle for the U.S. Open, played next year at San Francisco’s splendid Olympic Club. The USGA is currently running a holiday special – jump on it before Jan. 2, 2012 to grab some extra goodies. Price: $450 for individual Weekly Grounds Ticket. Walk this way: We believe the game should be played on foot, and that those feet should be comfortable on their 5-mile journey around the course. Every major manufacturer makes lightweight, comfy shoes these days, so you can’t go wrong with FootJoy, adidas, Ecco, or any of the big brands. But we’re partial to upstart TRUE Linkswear, whose ultra-low-profile, spikeless kicks have made a big impression. Price: Starting at $129. Sock it to ’em: Socks are socks, right? Wrong. Kentwool uses super-fine Merino wool to make a sock so comfortable, the company says it can boost your energy and make you play better. Some sock, huh? Pros like Matt Kuchar and Bubba Watson think so. Price: $24.95 for a pair of Tour Standard models. Boy, did Thanksgiving come and go in a tryptophan-induced haze. Got buried so deep in turkey and stuffing, I neglected to post this article in a timely fashion. No. 1 on our bucket list. Walking a deserted course, solo, first thing on a Sunday morning. Courses where you can’t possibly plunk a house off the tee. A foursome without one of the guys who top this list. Playing partners who know when to call off the hunt for a lost ball. The golf equipment geeks who hang out here. Old-school Scottish caddies, like these guys. Thing o' beauty: Rory McIlroy's swing. Mike Keiser (visionary founder of Bandon Dunes and Cabot Links). 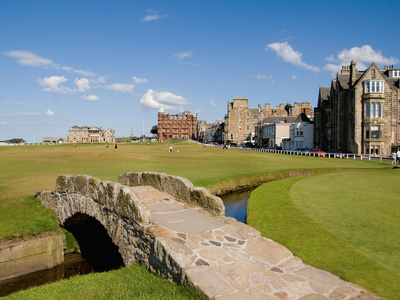 The town of St. Andrews, Scotland – No. 1 on my bucket list of places to visit. Minimalist design and the architects who practice it. 19th holes that serve local microbrews. Handheld GPS devices and rangefinders. The USGA’s Mike Davis, whose U.S. Open setups emphasize shotmaking and imagination over hacking out sideways from ankle-deep rough. It sure is, Carl. It sure is.